*CASE ONLY--LEATHERMAN SURGE NOT INCLUDED! The Leatherman Surge horizontal carry case/sheath is made for comfort and durability! Only the best part of the hide is used for my sheaths. 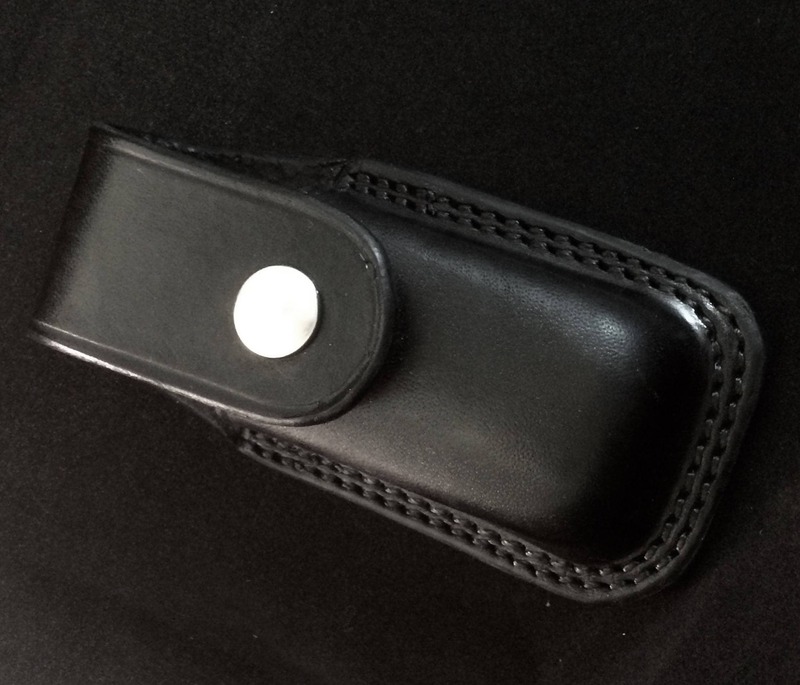 - Fits Leather belt loop up to 1.5" belt. This product is made to ensure that your Leatherman Surge is secure in its case. Beautifully made sheath. This was a Christmas gift for my husband and he absolutely loves it. Thank you very much! Absolutely perfect! I asked for a custom piece for my husband’s Victorinox. They absolutely delivered above and beyond all expectations! A nice piece of leather craft. I will need a belt 1-1/2" wide. This would stabilize it and keep it horizontal on the Belt. As well, this would greatly improve "no-look" draw/return of my tool from/to the sheath. Very helpful service and a willingness to accommodate. Amazing! 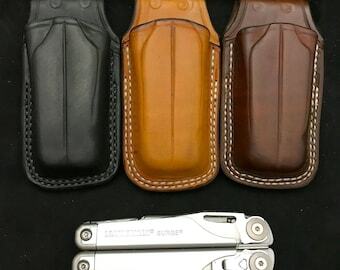 Will be recommending these holsters to my coworkers.